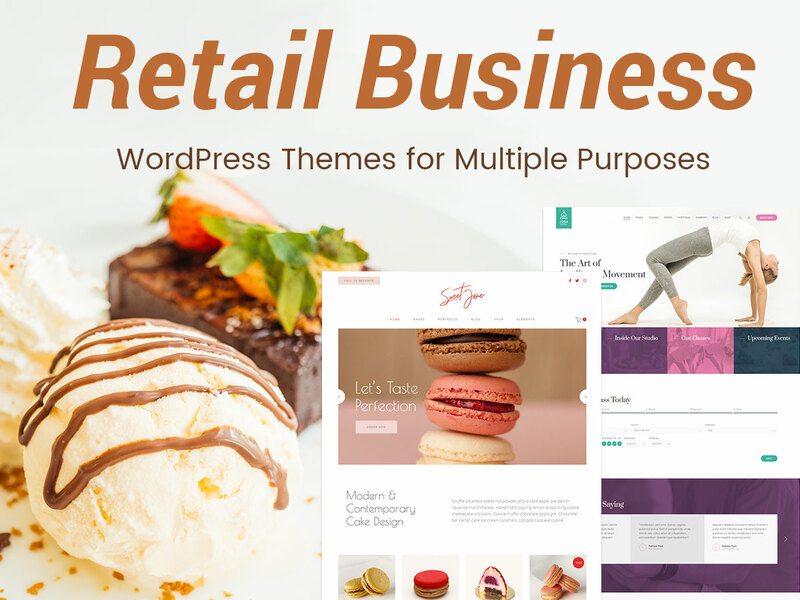 Take a look at a new WordPress themes collection devoted to retail business and stores. You’ll find the themes for breweries, grooming salons, hair salons, hotel booking websites, confectioneries, hospitals, blogs, gyms, yoga centers, and much more purposes. Take your time to browse the themes and grab your most suitable one for your personal or business needs. Good luck. 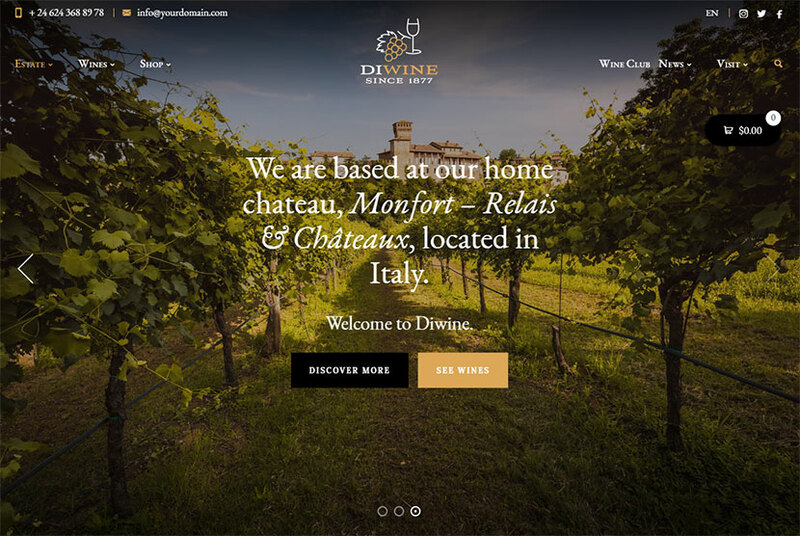 Diwine is a fresh WordPress theme perfectly suited for wineries, wine shops, bars, breweries, vineyards, restaurants, cafes, and other related purposes. It includes 4 homepage layouts coming with beautiful ken burns slider, standard sliding images, static hero image, and more variants of design. The template boasts advanced WooCommerce support, custom restaurant menu component, store locator with map box, flexible layouts, built-in WhiteBoard framework, child theme included, integrated ajax theme options panel, Contact Form 7 support, unlimited sidebars, intuitive grid layout, Revolution Slider, Booked – appointment booking plugin, and much more. 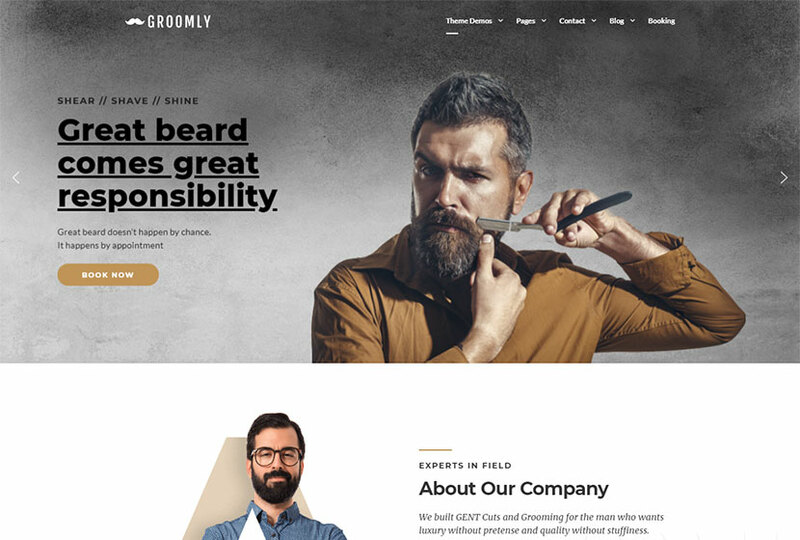 This WordPress theme is designed for booking grooming services online, however, you can select it for building a website of a stylist, hairdresser, beauty salon, etc. The template comes with 3 homepage layouts having different styles and being fully customizable. It boasts a multitude of features including booking calendars, WPML multi-language support, live front-end page builder, premium image slider, intuitive theme options, footer builder, booking rules, notifications and follow-ups, and many more features available. 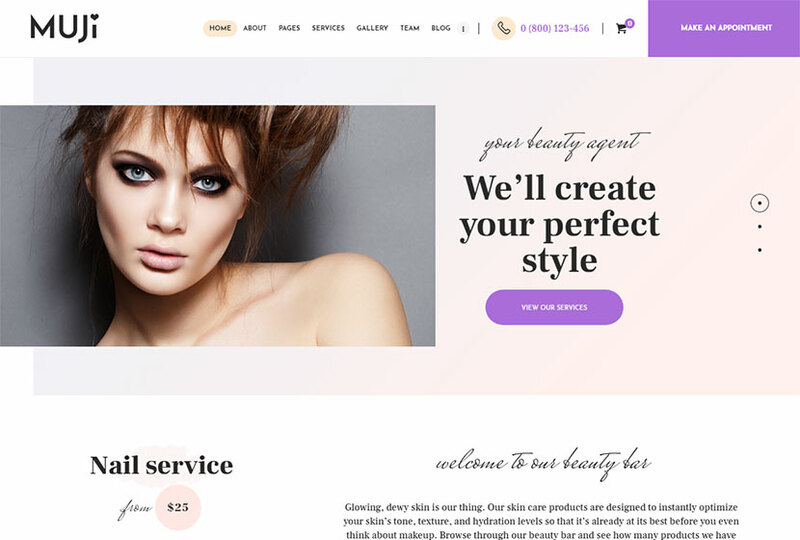 Muji is a beauty shop and spa salon WordPress theme suitable for hair salon, spa, yoga or massage center, sun tan, day spa, and other related establishments. It comes with 2 homepage layouts – one with a fullscreen slider, and another one – with original header design. The template includes powerful theme framework, advanced blog settings, WPBakery drag-and-drop page builder with the possibility to customize header and footer layouts, boxed and fullwidth page layouts, 20+ post animations, multiple blog styles, user and main menu support, custom widgets and shortcodes, etc. 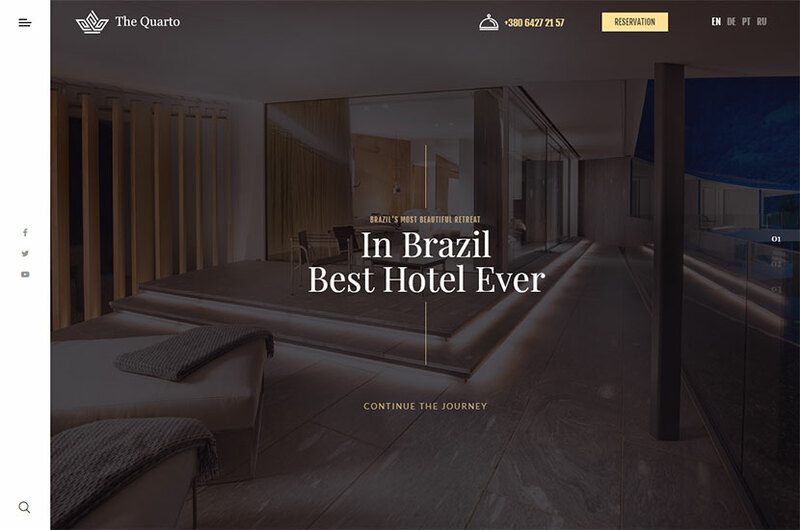 This is a modern hotel WordPress theme which can be perfect for hotel booking websites, resort, traveling agency, tour booking site, and other related purposes. It comes with original design and intuitive navigation as well as a bunch of useful features. The theme’s advantages include high quality sections and elements, WPBakery page builder integration, Revolution Slider included, WooCommerce support, Contact Form 7, WPML multi-language support, metabox compatibility, total cache config, Google web fonts, blog support, parallax background image, and much more. 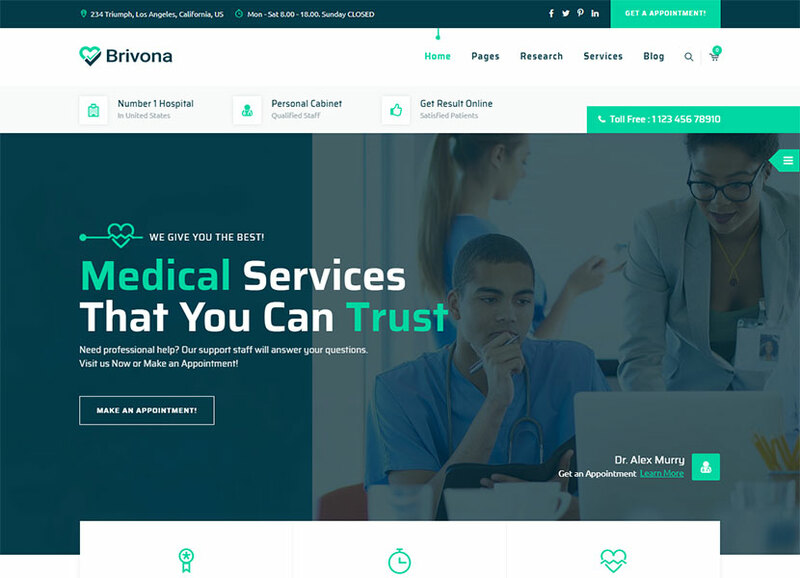 Brivona is a medical, health and hospital WordPress theme suited for medical practice, chiropractors, dentists, surgeons, pediatricians, health clinics, private doctors, psychologists, and other medicine oriented experts. It comes with 3 homepage layouts and 3 header styles. The template supposes the appointment booking form functionality support (BooKed plugin), timetable and opening hours layouts, Revolution Slider integration, WPBakery page builder, the Events Calendar, powerful theme options, WooCommerce compatibility, and many more features. 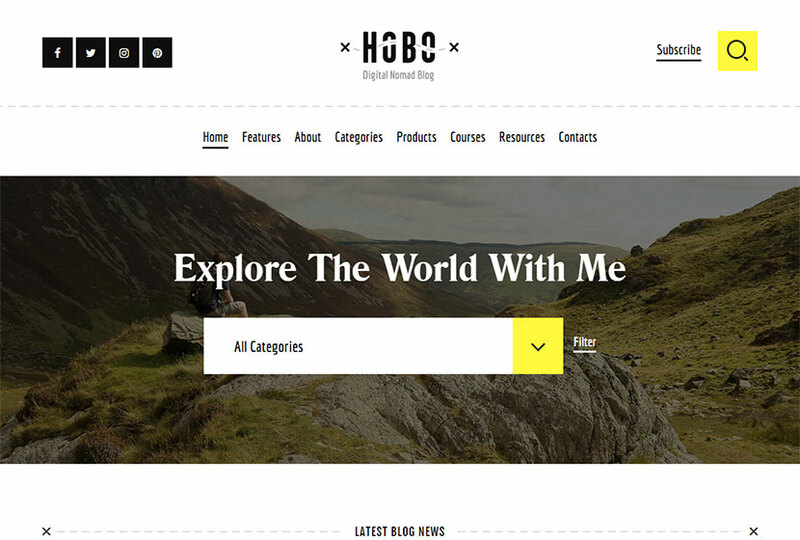 Hobo is a personal blog theme you can use to run a blog on lifestyle, traveling, digital products, local city news, and more. The template comes with 6 homepage layouts having different styles and available for complete customization. Hobo includes multiple blog styles, comes with fullwidth and boxed layouts, 750+ Customizer options, lots of custom shortcodes and widgets, custom theme options panel, Revolution Slider, interactive ajax search, flexible colors and typography, customizable blog feed, Elementor page builder support, and many more advantages. This is a marijuana dispensary and medical WordPress theme appropriate for dispensaries, hospitals, cannabis selling, and other medical purposes. It comes with two homepage templates with different design styles and awesome sliders. 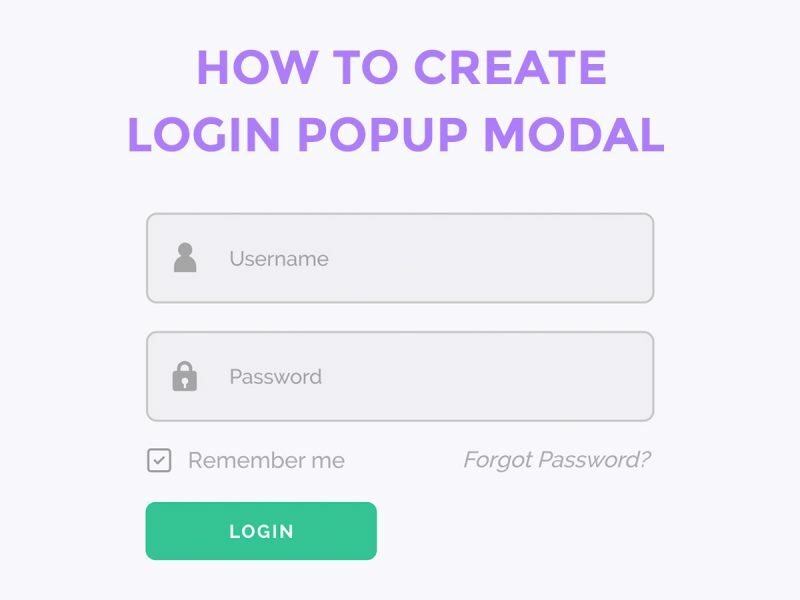 The template includes a multitude of features like WPBakery page builder and Revolution Slider integration, Redux Framework options, unlimited sidebars, blog, contact, shop, styling, social media, header, and other settings, multiple header variants, and many more advantages. 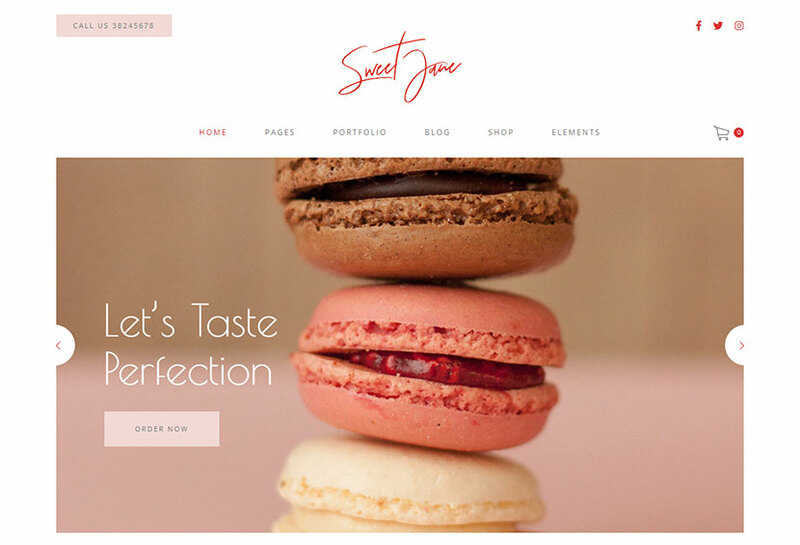 This WordPress template is the best choice for bakeries, cake shops, sweets shops, cafes, culinary websites, pastry shops, confectioneries, and other related businesses. It comes with 6 homepage templates including the split screen style, carousel, columns showcase, and more design variants. The template boasts a bunch of different shortcodes including the ones for gallery, instagram list, text marquee, workflow, reservation form, portfolio types, pricing list, product info, cards gallery, and more. Other features of the theme include WPBakery page builder integration, Revolution Slider, extensive typography options, powerful admin panel, etc. 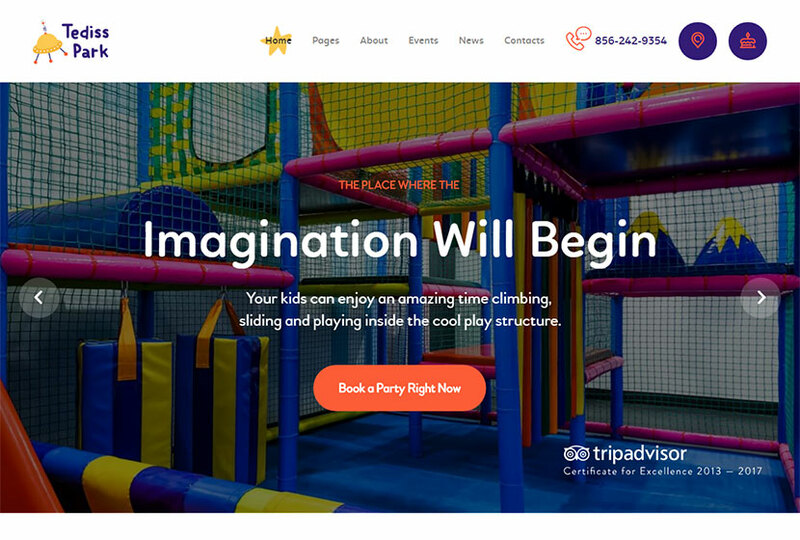 This WordPress theme will meet the needs of a childcare center, preschool, day care, craft school, elementary school, pediatric department, play area, kids café, kindergarten, and other related establishments. It comes with 3 homepage templates and each of them is fully customizable one. Tediss boasts advanced blog settings like multiple blog styles, flexible layout options and different post animations, a number of layout features like custom widgets and shortcodes, powerful theme framework with more than 750 Customizer options, Elementor page builder integration, Booked appointments plugin, Contact Form 7, MailChimp, Revolution Slider, and more. 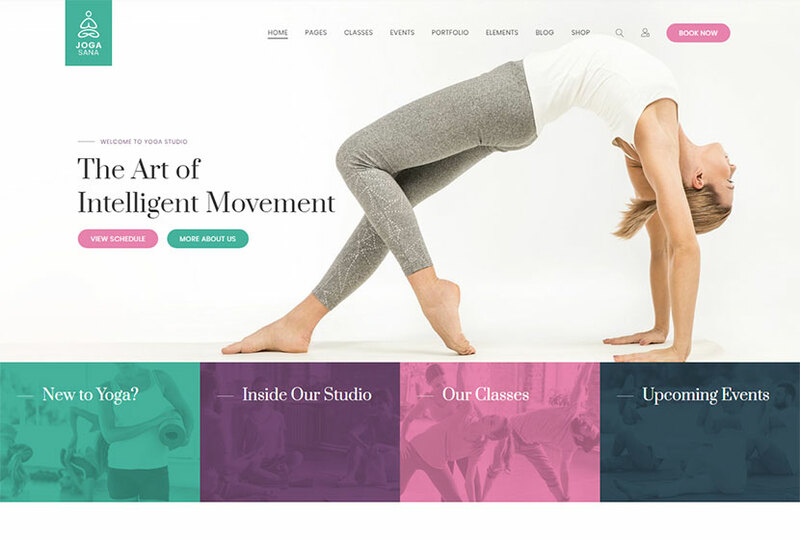 Jogasana is a cool WordPress theme which will suit for yoga studio, personal yoga teacher, online yoga classes, yoga teacher trainings, and other yoga related activities. The theme comes with 4 homepage layouts and a number of pre-defined inner pages with unique design. It includes a number of awesome features like WPML multilingual support, WooCommerce compatibility, Redux framework theme options, Bootstrap 4 grid, Contact Form 7, mega menu support, WPBakery page builder integration with Ultimate Addons, sticky headers, timetable, Slider Revolution, shortcode elements, yoga SVG icons, and more. 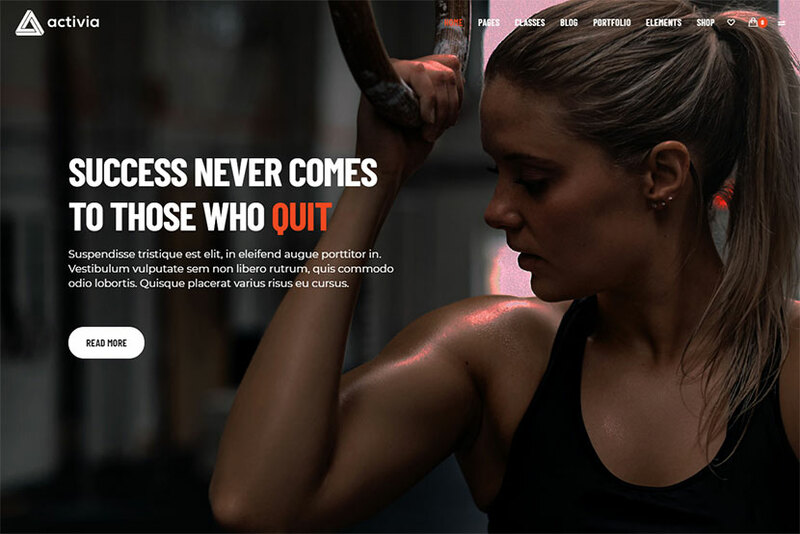 This WordPress template will be perfect for active lifestyle, sports, gym, bodybuilding trainer’s portfolio, power lifting classes, track and field athletics, weightlifting, and other related sports activities. It comes with 5 homepage layouts and a lot of pre-made inner pages included. The theme comes with tremendous list of features including Events Calendar, timetable management, WPBakery page builder, Revolution Slider with multiple premium options, advanced customization options, multiple widgets, CSS3 animations, 65+ custom page builder shortcodes and modules, and many more features. 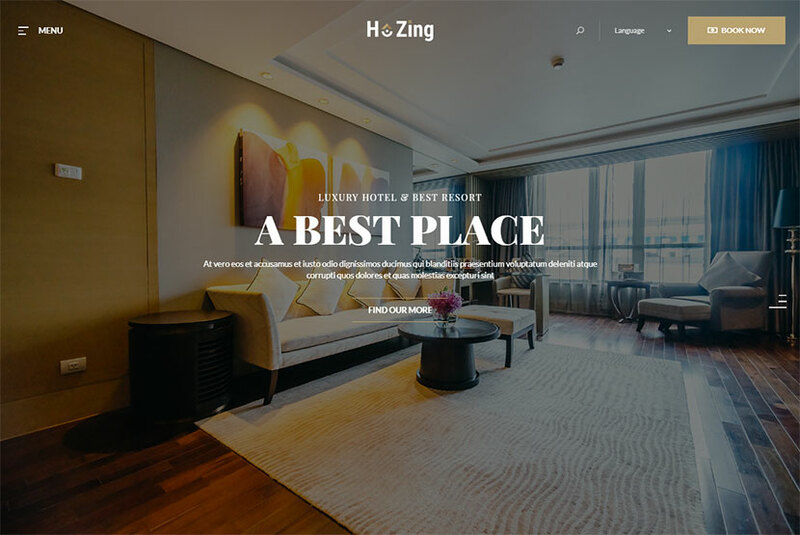 Hozing is a hotel booking WordPress theme which comes with room calendar and more than 86 supported payment gateways. It includes 8 homepage layouts and a rooms page template, so you can select any of them and customize to your needs. The theme allows to manage inventory with room code, add extra price at any time and special dates, setup minimal rental time, manage order, update booking status, manage status and coupon, build headers and footers with the integrated Elementor page builder, build a WooCommerce based online shop, etc. More collections are coming soon. See you. New Possibilities for Gutenberg WordPress Visual Editor – Try These Plugins!